[Studio Report] – Record the UBass using mics! – Part 1 – Play UBass! I’m trying out new ways to record the UBass. Up until now I have used only the DI in my Headway Preamp into my Universal Audio Twin-Finity 710 (tube/solid state) preamp or my Fishman preamp into the same UA preamp. Recently I started to put a mic on the speaker cabinet (different ones depending on where I recorded). I then mixed that signal with the DI/line signal. 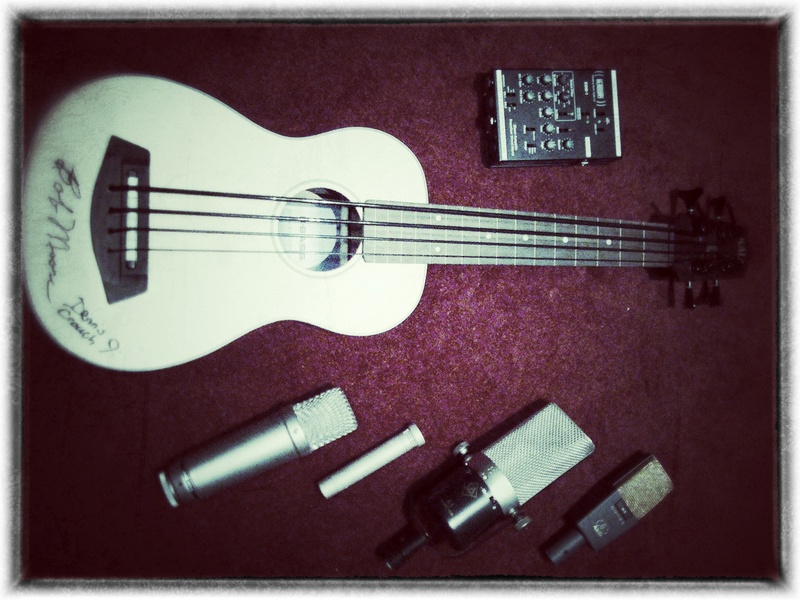 Now I’ll put a mic in front of the UBass to pick up on the acoustic sound coming directly from the UBass. With this approach comes a couple of things to consider. 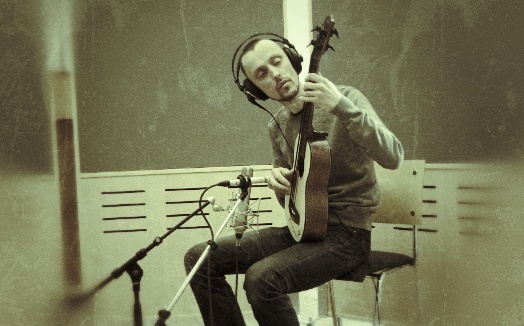 Ok. How should you do to record the acoustic sound from the UBass? Well here are some suggestions based on my different ‘labs’. As a background for the melody I’m using one of the over 100 CD’s by Jamey Aebersold. These are made for practicing melody, improvisation skills and bass lines (mostly walking bass) on mainly jazz tunes. But there are other genres represented like the Bossa Nova tune I used in the ‘lab’. (This song is featured on vol. 98 Antonio Carlos Jobim – Bossa Nova). These Aebersold CDs use a neat ‘minus-one’ feature. If you pan hard right you can remove the bass part. If you pan hard left you remove the piano/guitar (Some tunes are with guitar and others with piano). I used this feature to make my recording a bit more authentic. Since you hardly ever play with two bass players (Ok, there are exceptions. Please check out live recordings and shows with Victor Wooten for an excellent exception!) I muted the regular bass part so the UBass melody was the only bass instrument. This will also let the listener focus in on the ubass melody/solo OR bass part. < [Rehearsal Report] Kala Ubass goes Country! Pingback: [Studio Report] – Record the UBass using mics! – Part 2 « Play UBass!